DUROPLAST-CHEMIE GmbH is a remarkable mid-size company in the mountainous region of the Westerwald in western Germany, and one which has focused right from the start solely on developing and manufacturing demanding epoxy resins, hardeners, and systems. In 1970 the company (previously called Rütgerswerke-Bakelite) was founded by Alfred Runge in Frankfurt/Main; as early as in 1972 it began to deliver resins from its own manufacturing sites in Neustadt/Wied—the perfect timing for the 1970s boom in the electronics industry when the manufacturers of electronic laminates found the demand for printed circuit base material to be ever increasing. Thanks to their innovative strength and reliability, the young DPC quickly became the preferred partner for the required large amounts of epoxy resins. Soon the company had reached such a strong position in the marketplace that there were numerous takeover bids. Hence in 1985, the business area of electronic laminates was sold to DOW-Chemical, a US group (what was sold was the professional expertise, not the company, just as DOW had requested initially). At that time DUROPLAST-CHEMIE GmbH was the most prominent German supplier for brominated epoxy resins, with over 7,500 tons of FR3 and FR4 resins, approx. 300 tons of antimony trioxide pastes and over DM 45M (~EUR 23M) in revenue. This meant that DUROPLAST-CHEMIE GmbH was giving away about 90% of its business. 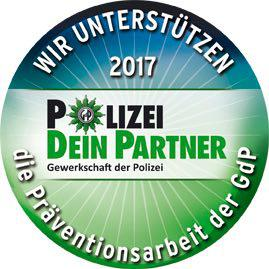 In a next step the company was restructured (i.e., into a Produktions GmbH and a Vertriebs GmbH), an employee participation scheme was introduced (today equalling approx. 51% of the Vertriebs GmbH with the remaining approx. 49% today held by Runge's two sons), and a vigorous re-orientation of activities followed. All of the then 17 employees were kept on. Thanks to the versatility of epoxy resins and the company's extensive experience in the epoxy resin chemistry and manufacturing technology, it didn't take long for DUROPLAST-CHEMIE GmbH to regain its position as a valuable supplier for other areas of application. Today, the company develops customer-specific solutions for a wide range of industries, and mostly delivers them as complete systems to, e.g., the abrasives and construction industry, the fibre composite and adhesives sector, the automobile and tool making industry. While the company used to focus mainly on the tank truck business, it ultimately turned to high-quality specialist products. For example, in the early 1990s long-standing adhesives customers also needed new, tailor-made 1-component epoxy resin adhesives for their new discs and their new, faster manufacturing machines. Today, DUROPLAST-CHEMIE GmbH is a substantial supplier across Europe—not only for traditional 2-component masses but also for this type of 1-component formulae. Thanks to the loyalty of previous corporate customers the electronic laminate area has remained an interesting field of activity. Selling the company to DOW, which was accompanied by dropping the previous large-volume products, also resulted in a re-orientation towards specialty and service products. Hence resins, hardeners, and accelerators are manufactured almost without exception according to individual customer requests. In anticipation of the intended new European environmental legislation (provision on electronic scrap), and as early as in 1998, DUROPLAST-CHEMIE GmbH was the first European resin manufacturer to present a phosphor-modified, bromide-free epoxy resin on an industrial scale, which could be processed as easily as traditional FR 4 resins. EPOSID VP 868 was the first standard in this new generation of flame-retardant epoxy resins. Fully developed products are available for use in halogen-free successors of FR3 and CEM1 laminates. Today, DUROPLAST-CHEMIE GmbH (restructured as of January 1, 2012, into DUROPLAST-CHEMIE GmbH and DUROPLAST-CHEMIE VERMIETUNGS GmbH) continues to be a fully independent company with an above-average level of customer orientation (also see statement on quality policy). The company absolutely focuses on development, production, and service/logistics; purely administrative tasks are virtually non-existent or have been outsourced. Hence the combined power of this small team is at the customer's disposal.